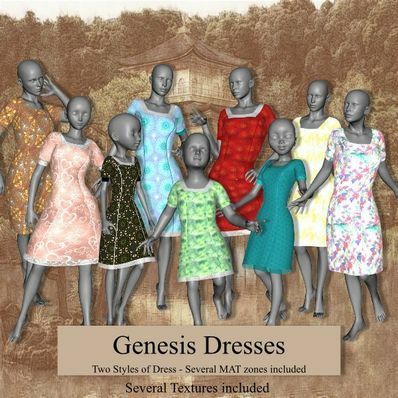 Two Dresses for Genesis for use in Daz Studio 4. An Oriental style Dress and a Square Necked dress for Genesis. Thanks to Fisty for the Base mesh for the Square Necked dress. Will work with most poses and shapes. Thank you so much for the oriental style and all the textures and MAT zones.